If you want to be a Winner, then learning these simple fundamentals will give you large advantages automatically. A chess game can be methodically broken down into three phases: The Opening, The Middlegame, and The Endgame. In other words: The Preparation, The Conflict, and The Resolution. To win a Conflict, you must first deploy your soldiers to advantageous positions to Prepare for it. In this visual tutorial, that's exactly what you'll learn to do. The best part is: it's simple. If you're new to Chess or need to refresh your memory on the basic rules, then see Learn to Play Chess: Visual Guide, Basics, Rules & Tips. Play to establish early control of the center. 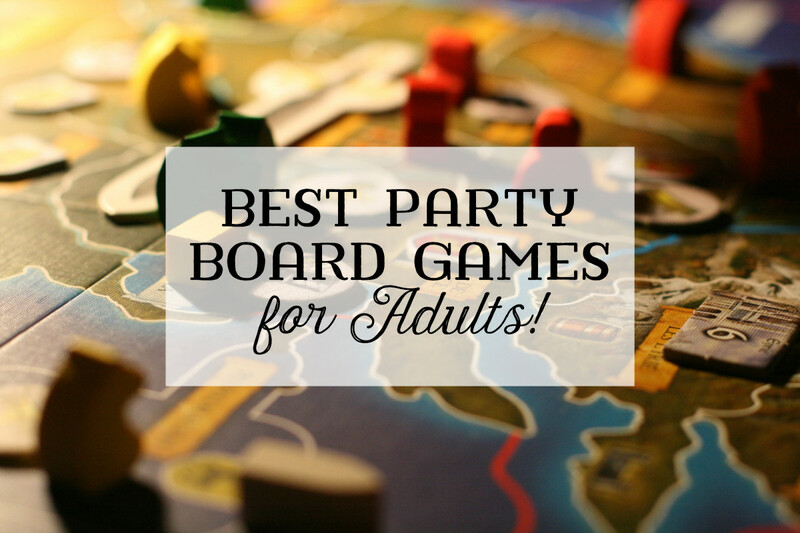 The center (d4, d5, e4, e5) is the most useful part of the board. 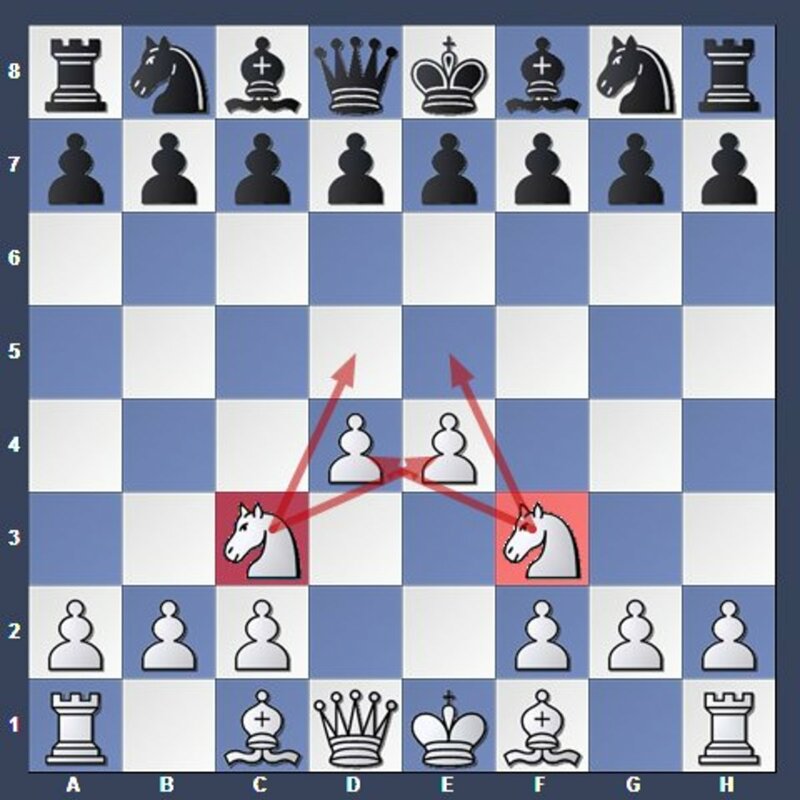 Centralized pieces obtain greater mobility to generate tactics. Therefore you should aim your pieces towards the center. This restricts your opponent's mobility while simultaneously improving your own. The knight demonstrates the power of centralization. From the center it controls 8 squares. On the edge it controls only 4. The following "blueprint" is a guideline for piece development. To "develop" means to bring a piece out from its starting position. This blueprint is not to be followed strictly and is meant only to provide a general concept. Use the blueprint's "force" to guide your development. 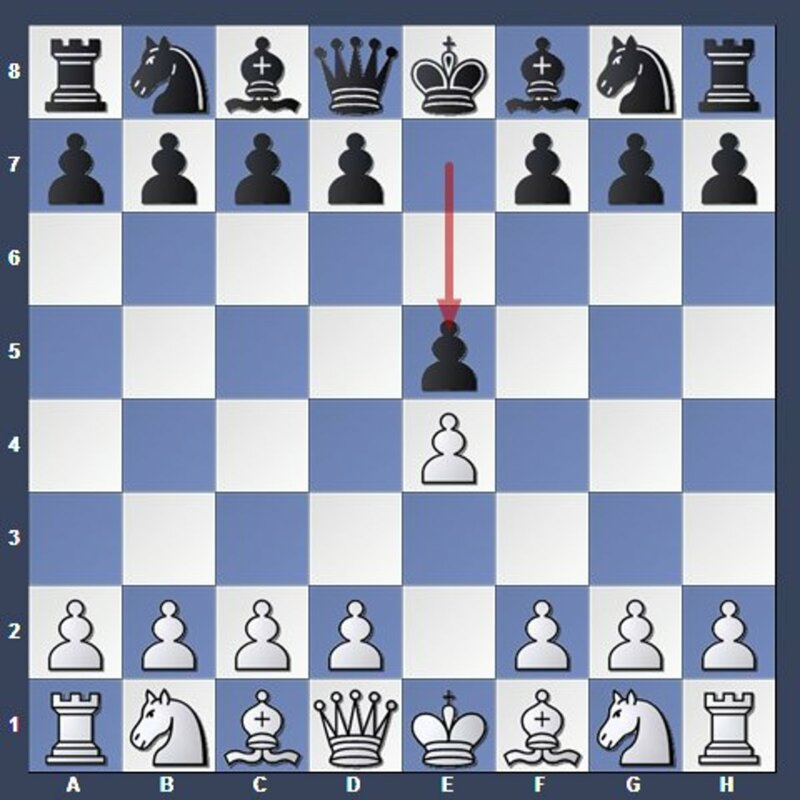 Play to push your pawns to d4 and e4 as white & your pawns to d5 and e5 as black. The point is to release your bishops while simultaneously using your pawns to control the center. 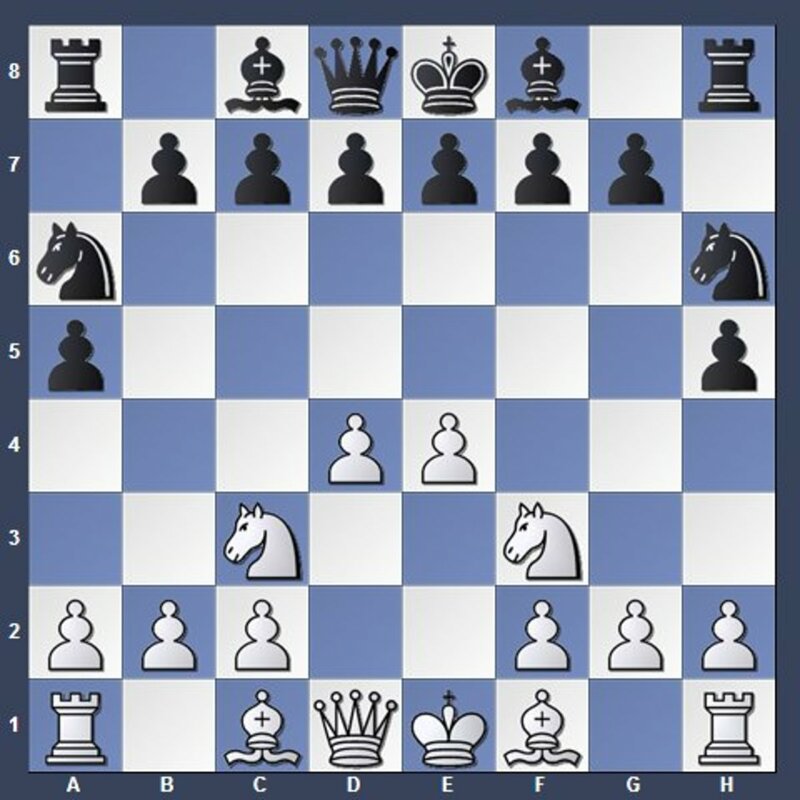 The aim to establish, to prevent, or to break a central pawn duo is the underlying concept behind most chess openings. Use this knowledge to guide your play. 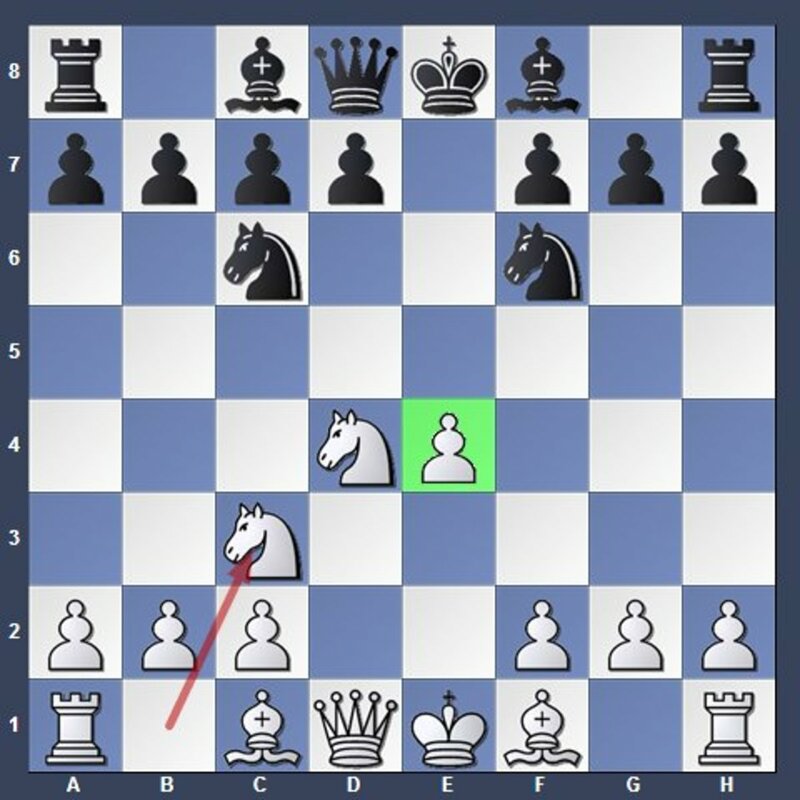 TIP: Try not to make more than two or three pawn moves in the opening. Instead, play to develop each minor piece and to castle your king first. Play to develop your knights towards the center. Developing a knight towards the center improves its mobility and control of the central squares. "Knights before Bishops" is a useful guideline to consider. If a bishop can be developed to more than one useful square, then it's often better to develop a knight first. Warning: Try not to move the same piece twice in the opening, unless you have a good reason to do so. 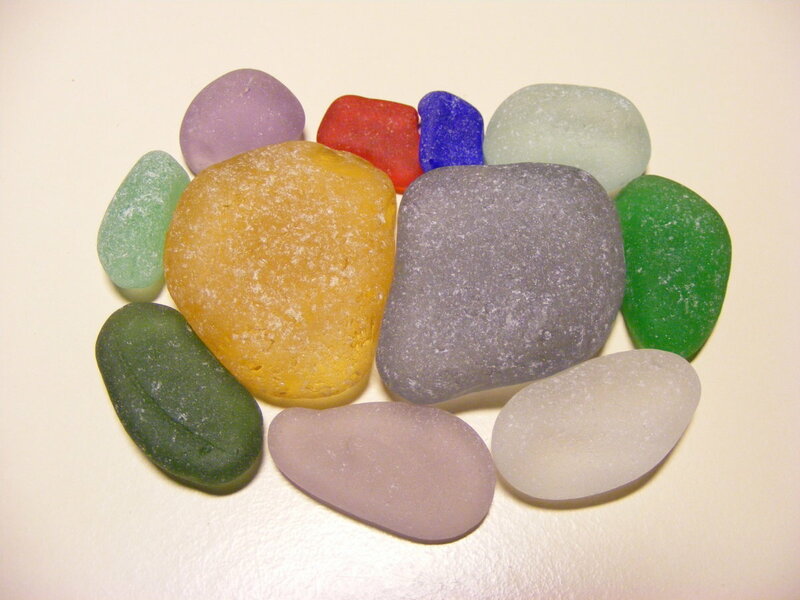 Instead, play to develop each piece one-by-one. Play to develop your bishops aimed towards the center or to open diagonals unobstructed by your own pawns. "Watch out for Knights!" Bishops are often more useful than knights in the long run despite their similar value. Don't be too quick to exchange your bishop for a knight without a good reason to do so. 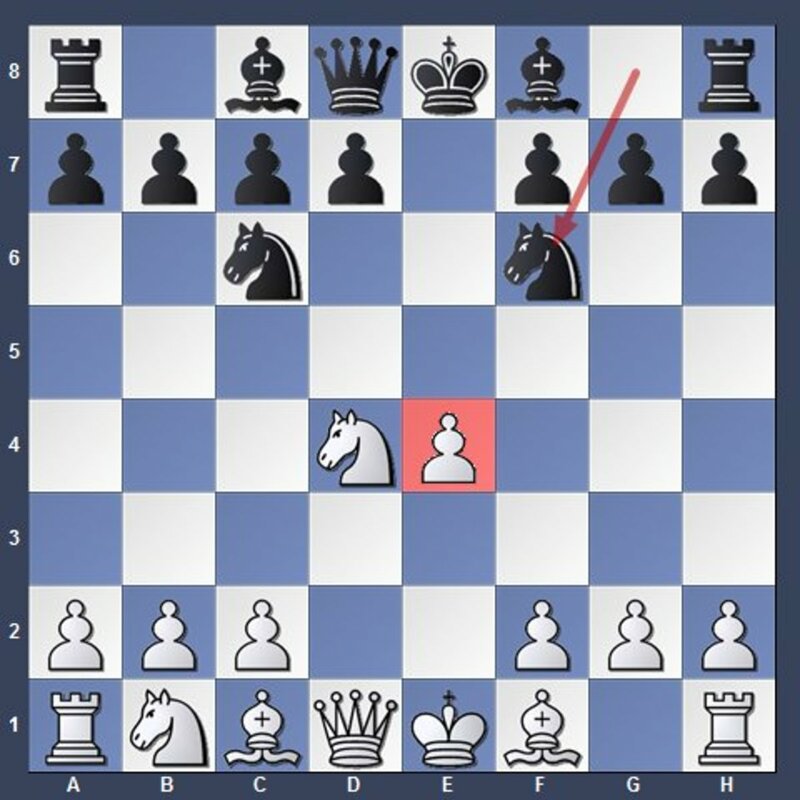 When choosing a square for your bishop, check to see if it can be attacked by a knight. Play to castle your king to safety. 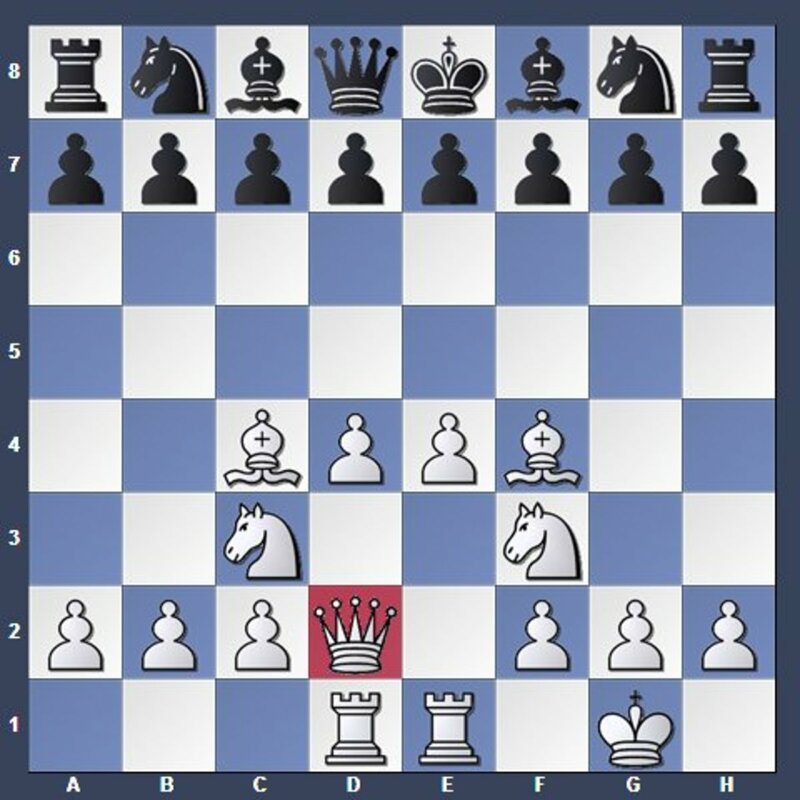 Kingside castling (0-0) is generally safest. 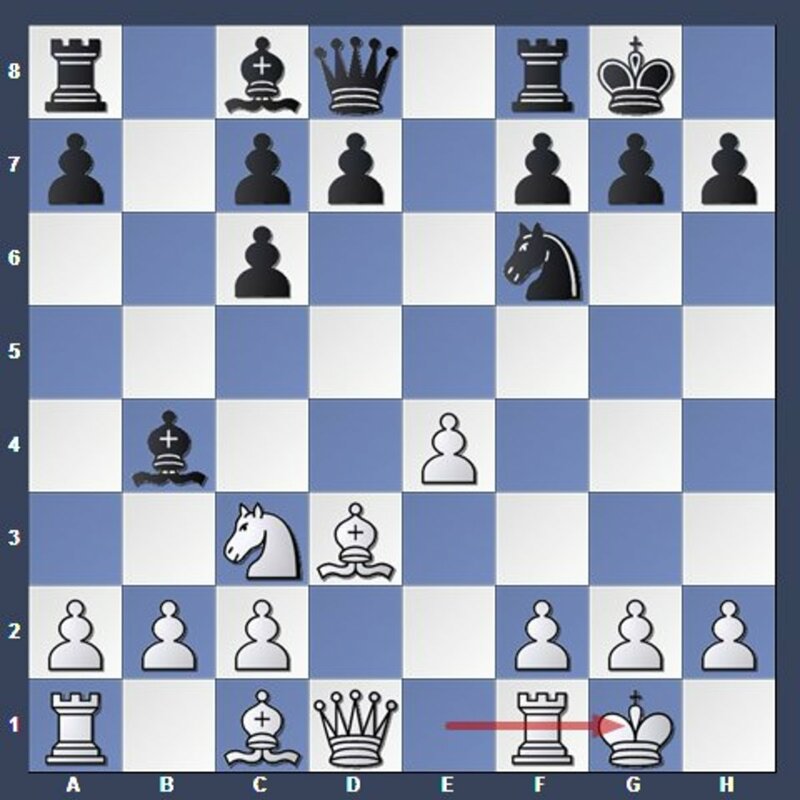 Queenside castling (0-0-0) is generally safe but more aggressive & double-edged. Castling also clears room for the rook to come out. "Castle As Soon As Possible" to avoid any early tricks and disasters. The center is a dangerous place for a king to linger, especially if pawns in the center have been (or will be) exchanged to create an open file. 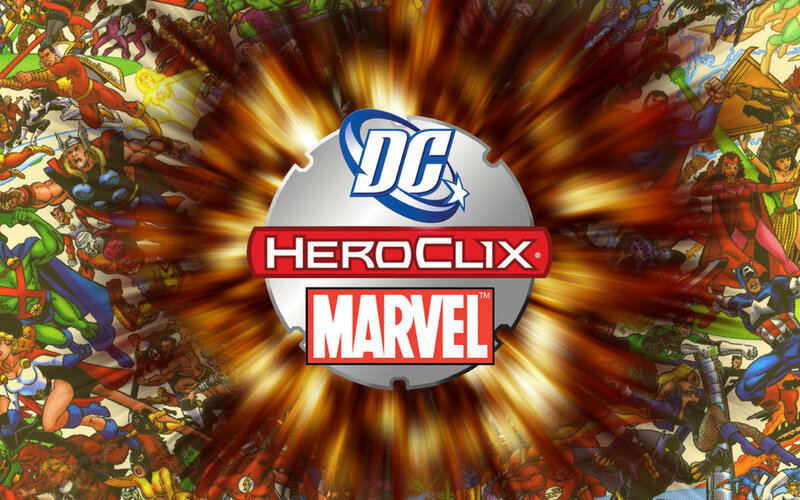 Play to keep your "pawn shield" on their original squares. 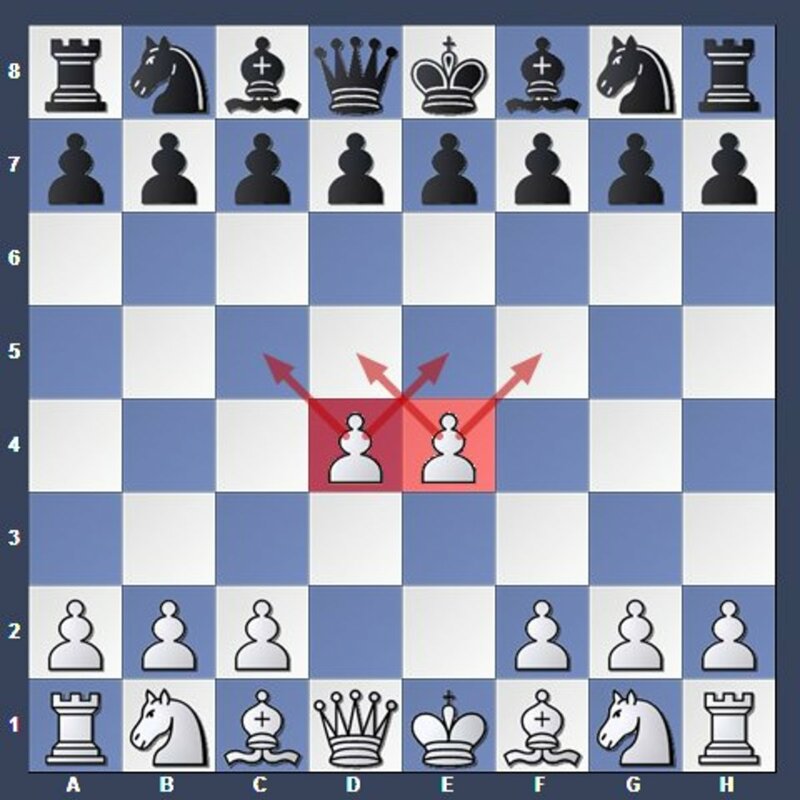 "Don't Open Your Shield": Moving or exchanging these pawns can create undefended squares around your king. The pawns themselves could also become targets. Move these pawns only if you've determined it's necessary or useful to do so. Otherwise, it could weaken your king's protection. Play to develop your rooks to open or semi-open files, or behind pawns that have potential to be exchanged open. "Rooks are Snipers": Rooks don't need to occupy squares towards the center. Rooks usually prefer to control squares from distant edges of the board where they can't be attacked by minor pieces. 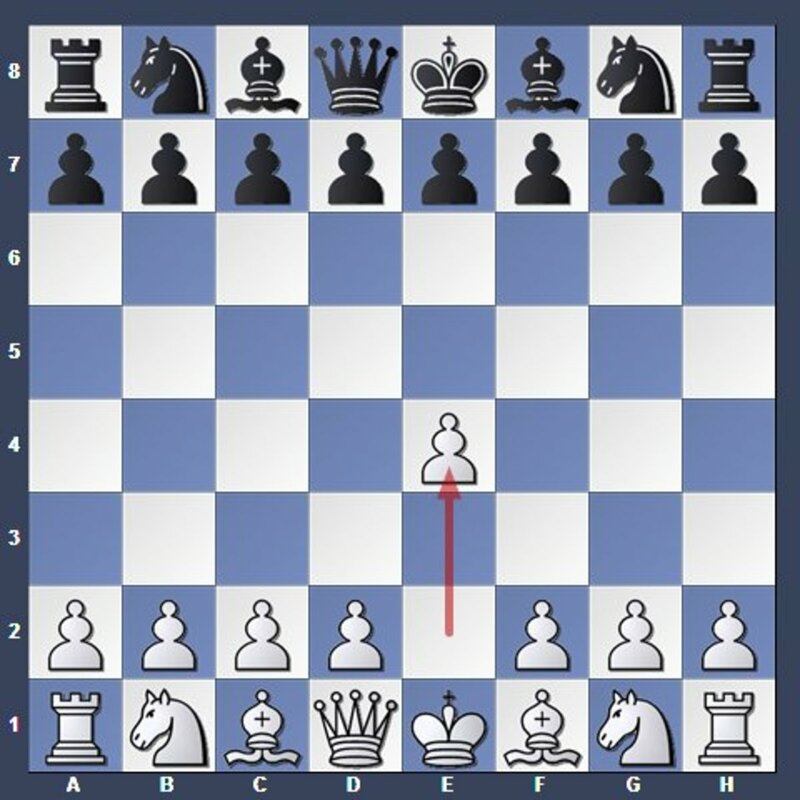 An open file is a vertical unobstructed by pawns. 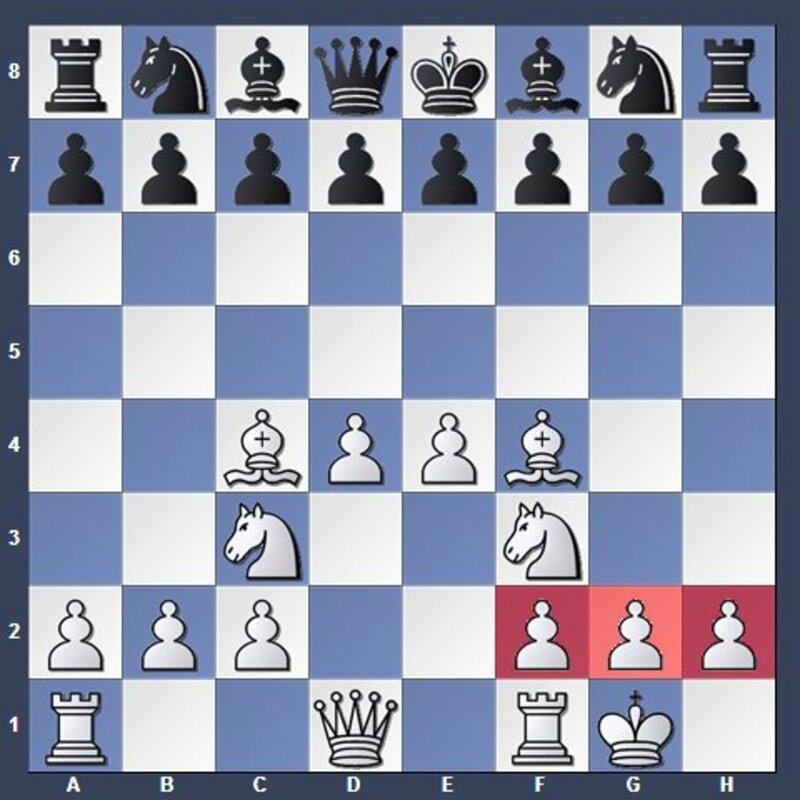 A semi-open file is a vertical unobstructed by your pawns but obstructed by an opponent's pawns. Play to develop your queen to a safe and active square after you've developed your minor pieces. 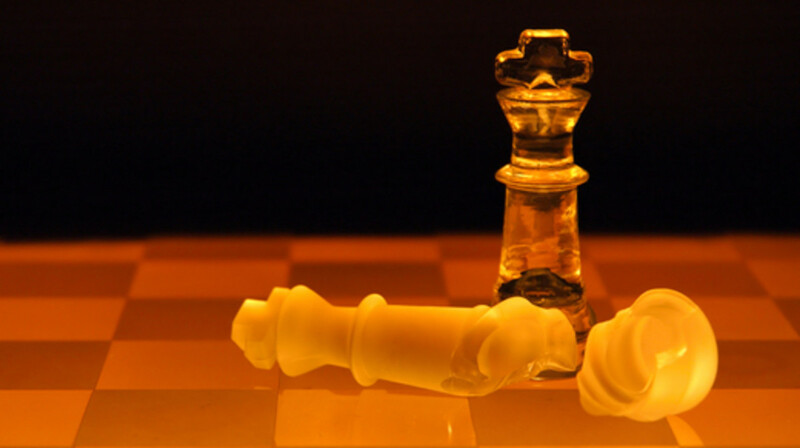 "Don't Move Your Queen Too Early"—unless it's to win or save material (pieces are material). Moving your queen out too early could expose it as a target to rooks and minor pieces. Your minor pieces should be developed first to restrict your opponent's development. Your primary objective is to develop each minor piece (knights and bishops) and to castle your king to safety. Your secondary objective is to develop your major pieces (rooks and queen). 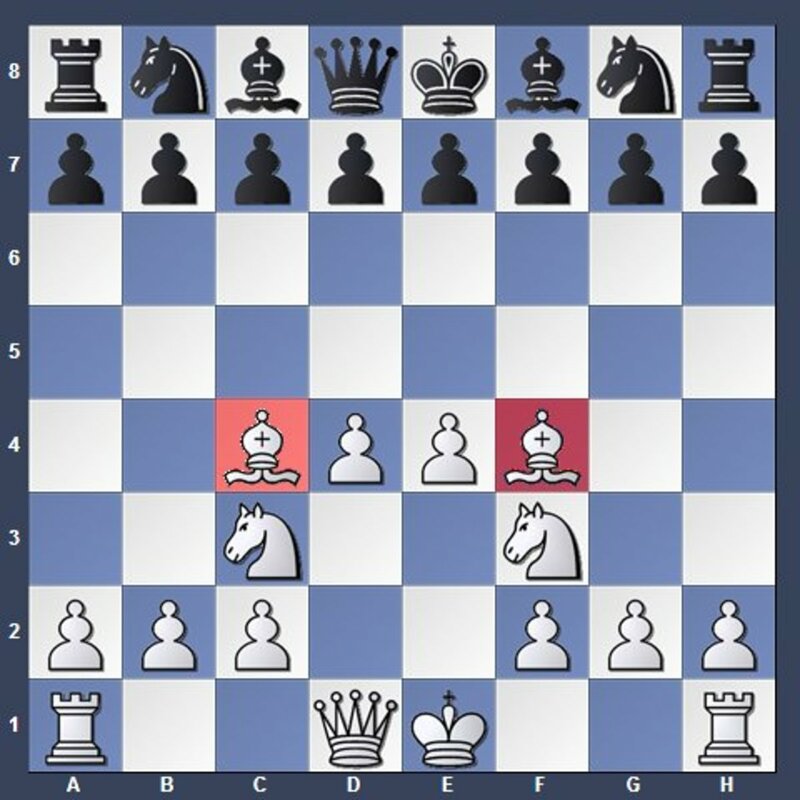 In general, this should be accomplished before you make further pawn moves or attempts to break your opponent's position. The first step is development; you need to maximize your pieces' mobility first before your other plans can be successful. Now let's examine how the blueprint can be used successfully to achieve good positions—in actual games against a resisting opponent. Thus, white immediately plays to establish a "central pawn duo". This move releases the light-squared bishop while simultaneously using the pawn to control the center. It also releases the queen as a bonus. 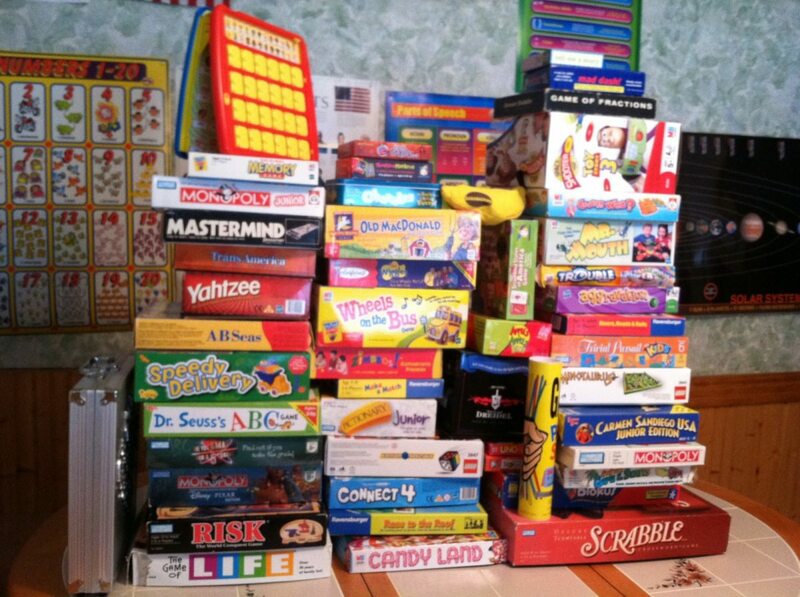 Popular alternatives: 1.d4, 1.Nf3, 1.c4. 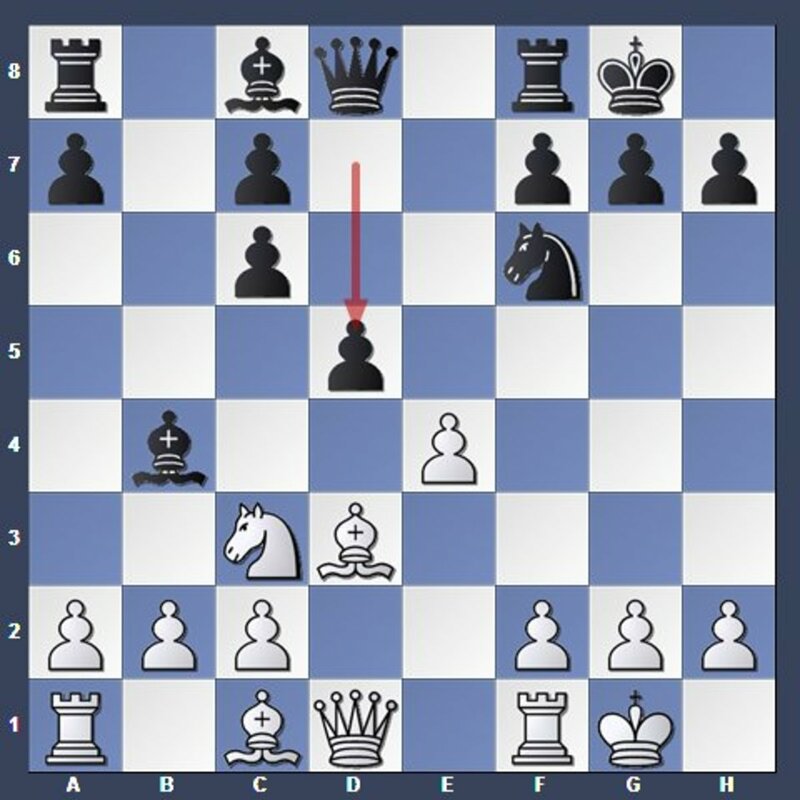 The aim to establish, to prevent, or to break a central pawn duo is the underlying concept behind most chess openings. This move aims to prevent white from completing the central pawn duo while simultaneously releasing the dark-squared bishop. Your primary objective is to develop each minor piece (knights and bishops) and to castle your king to safety. The upcoming moves are guided solely by this primary objective. Aim your pieces towards the center. Developmental moves that simultaneously attack the enemy pieces are often good. This move plays to develop a knight towards the center while simultaneously attacking the e5-pawn. It also clears room for the king to castle. Moves that accomplish two or more useful functions simultaneously are often the best. This move defends the e5-pawn while simultaneously developing a knight towards the center. White completes the central pawn duo. 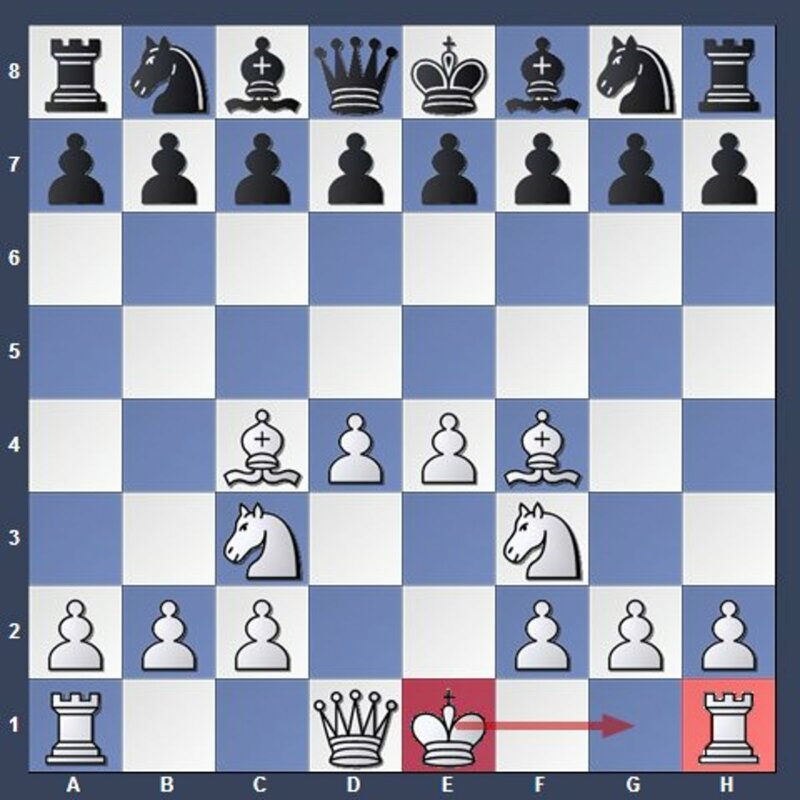 Remember; try not to make more than 2 or 3 pawn moves in the opening. Instead, play to develop each minor piece and to castle your king first. 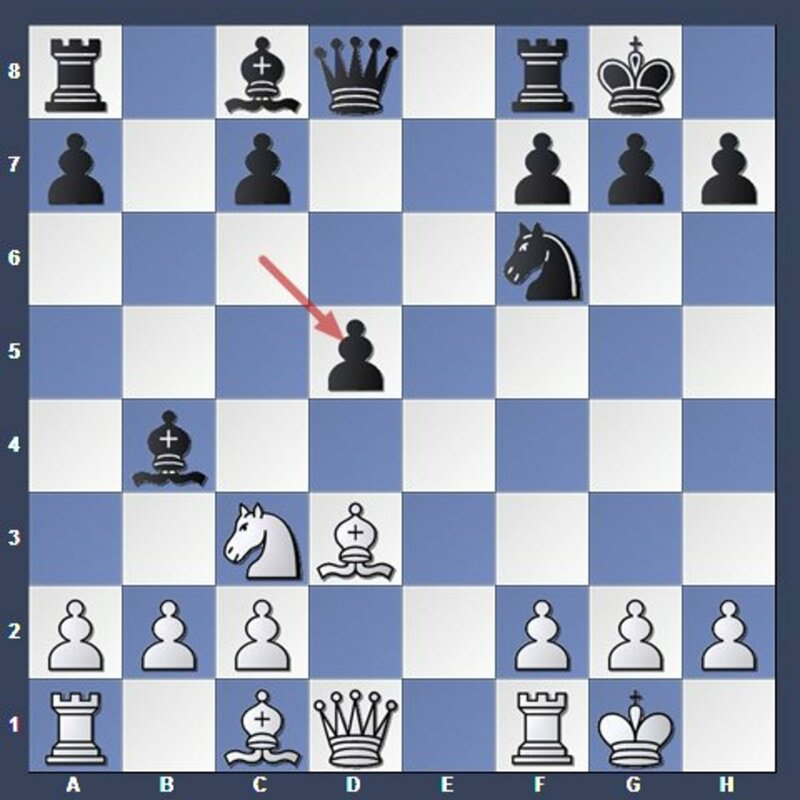 This move releases the dark-squared bishop while simultaneously using the pawn to challenge the center. Good alternatives: 3.Bb5, 3.Bc4, 3.Nc3. 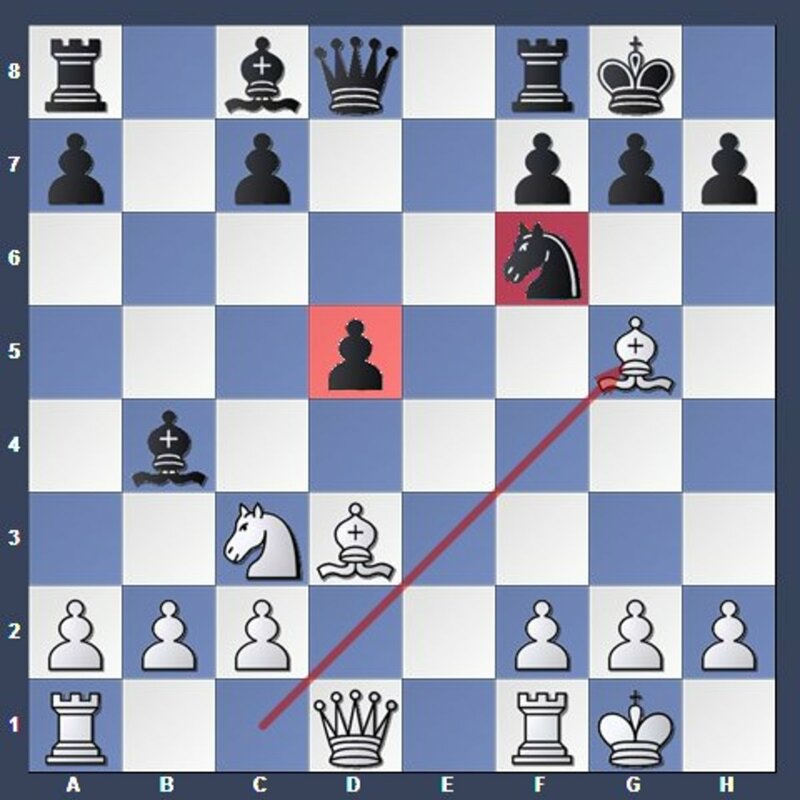 Black breaks the central pawn duo. Playing the dark-squared bishop to d6 would defend the e5-pawn while simultaneously developing a bishop, but that bishop would obstruct the d7-pawn from moving forward, which in turn would obstruct the light-squared bishop from being released on that diagonal. Try not to move the same piece twice in the opening, unless you have a good reason to do so. 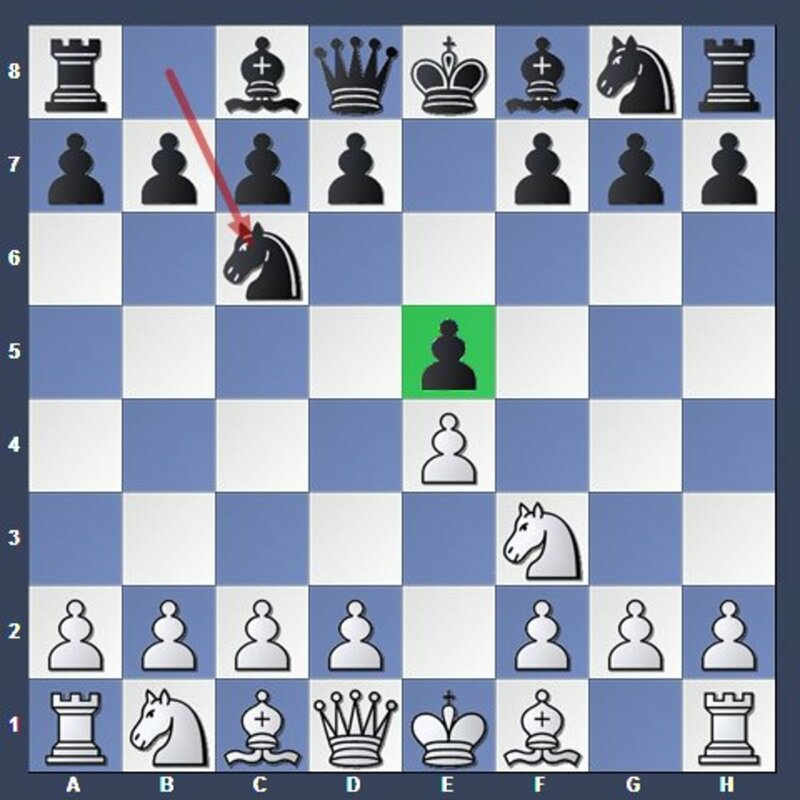 The knight moved twice but to capture the d4-pawn; restoring material equality. Otherwise, play to develop each piece one-by-one. For now we'll stick to the basics and play "Knights before Bishops". 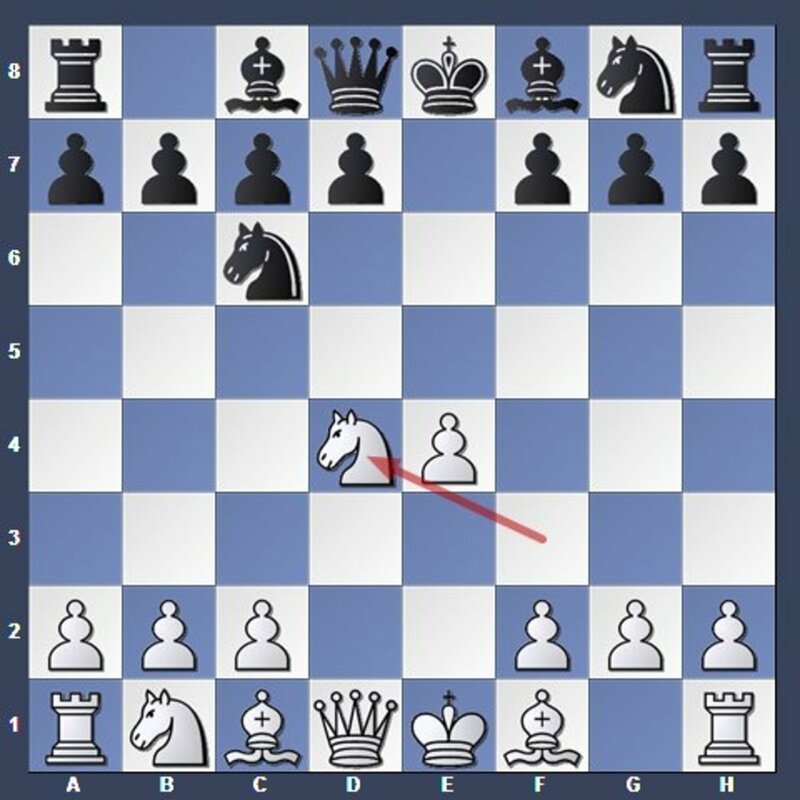 This move plays to develop a knight towards the center while simultaneously attacking the e4-pawn. A good alternative was to play the dark-squared bishop to c5. This would develop a bishop while simultaneously attacking the d4-knight. 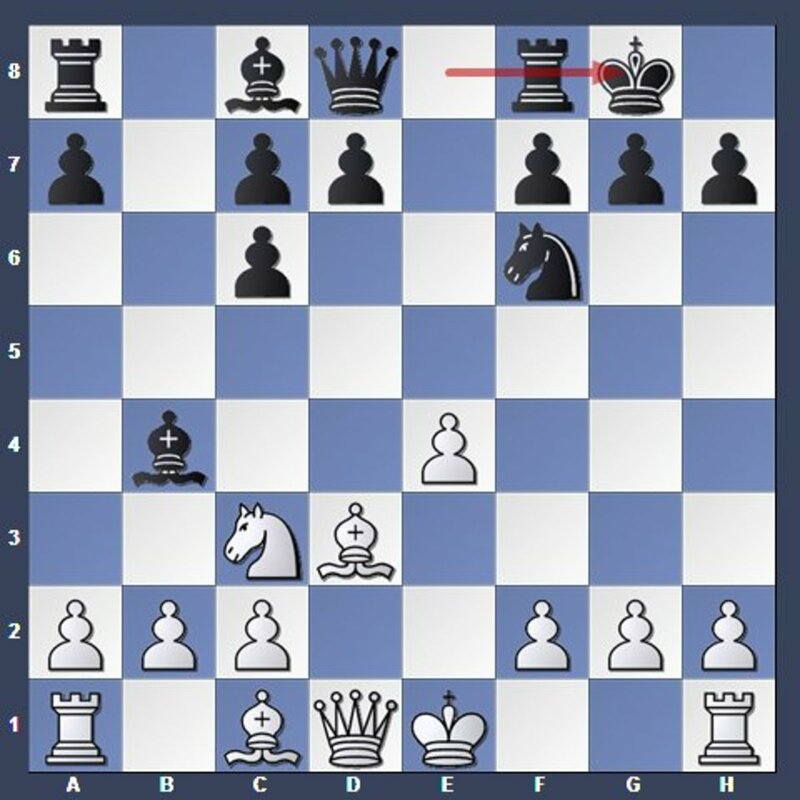 This move defends the e4-pawn while simultaneously developing a knight towards the center. The primary objective of developing the knights is completed successfully for both sides. Now all that remains is the primary objective of developing the bishops and to castle the king. Play to complete the primary objective before doing anything else. This move develops the dark-squared bishop while simultaneously attacking the c3-knight, which is the defender of the e4-pawn. It also clears room for the king to castle. The dark-squared bishop is now "pinning" the knight. 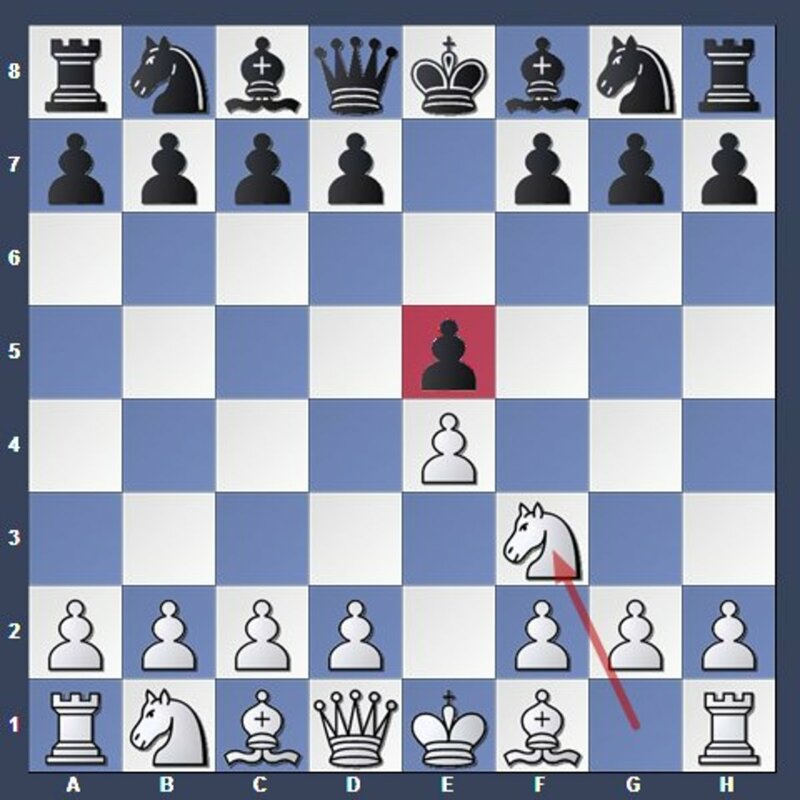 The knight can't move because the king would be lost. White should "Castle As Soon As Possible" to avoid any early tricks & disasters. Thus, playing the light-squared bishop to d3 looks desirable; it clears room for the king to castle and defends the e4-pawn. 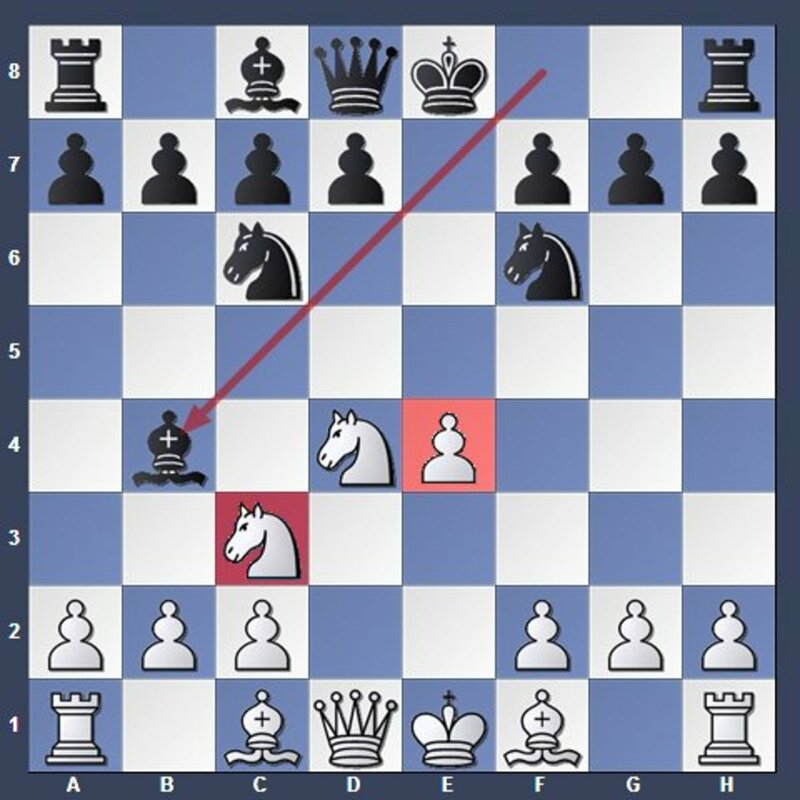 But playing the bishop to d3 immediately would obstruct the queen's defense of the d4-knight, which would then be captured by the c6-knight. Hence 6.Nxc6 first to safely prepare 7.Bd3. Recapturing with the d7-pawn would release the light-squared bishop, but also opens the d-file, which would allow the queens to be exchanged. After black recaptures on d8 with his king, it would remove his ability to castle and leave the king stranded awkwardly in the center; obstructing his own rooks. Thus, black recaptures with the b7-pawn. This opens the b-file, which black's rook can later use, and brings a pawn closer to the center. As planned. This move clears room for the king to castle while simultaneously defending the e4-pawn. Black's going push his pawn to d5 eventually, which could break the center open; white shouldn't linger around in the center with his king. This would allow major pieces to strike it; putting the king in great danger. "Castle As Soon As Possible" especially if pawns in the center have been (or will be) exchanged open. Castling the king away from the center, this also clears room for the h8-rook to come out. Exchanging the b4-bishop for the c3-knight would give up the "bishop pair" too easily; despite crippling the white pawn structure (the white pawns on c2 and c3 would be unable to defend each other). Bishops are often more useful than knights in the long run. Don't be too quick to exchange your bishop for a knight. This move breaks the pin on the c3-knight while simultaneously establishing the king to safety behind a "pawn shield". It also clears room for the h1-rook to come out. "Don't Open Your Shield!" Be careful about moving the pawns in front of your castled king. If the center is open (or will become open), then it's usually wise not to move your pawn shield unless you've determined it's necessary or useful to do so. Black continues with the primary objective, which is almost complete. 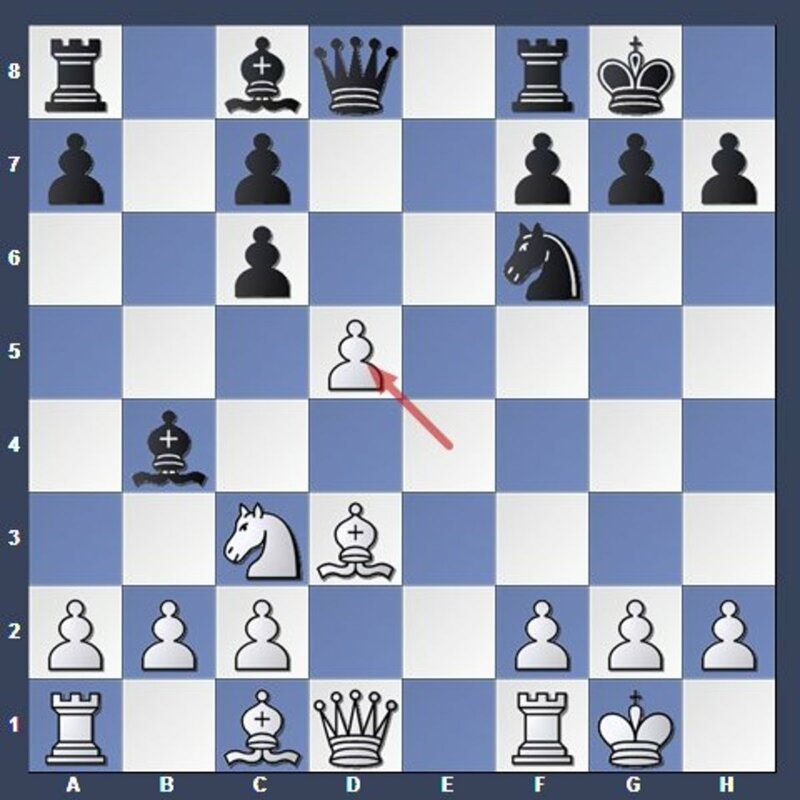 This move releases the light-squared bishop while simultaneously using the pawn to challenge the center. The e4-pawn was insufficiently defended (9...Bxc3 10.bxc3 dxe4, losing a pawn). 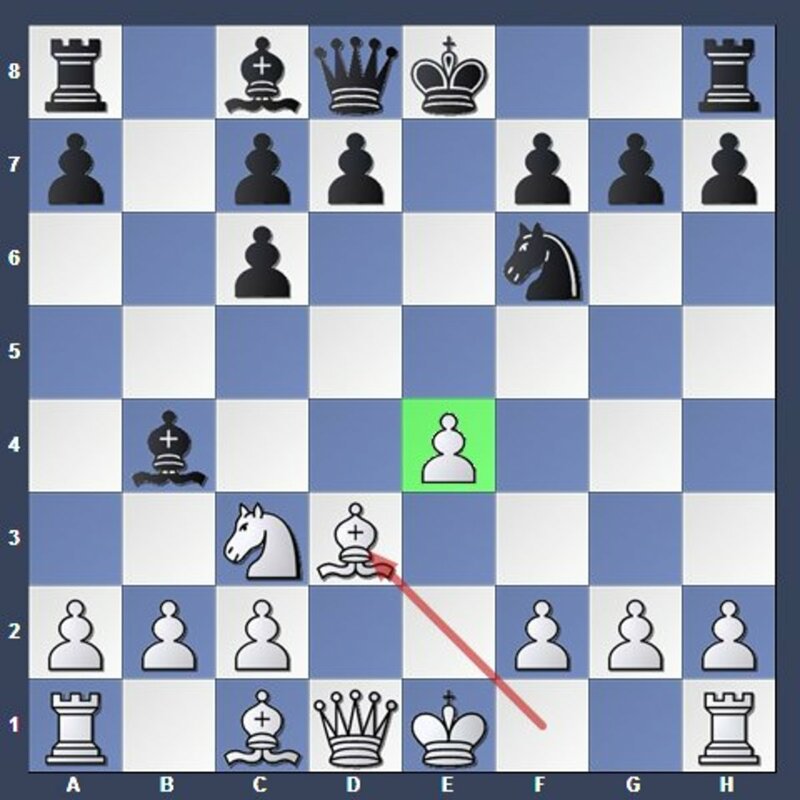 White exchanges it for the d5-pawn. Bishops prefer to be on open diagonals unobstructed by their own pawns. This move opens the diagonal to h7; releasing the light-squared bishop's diagonal. Black recaptures with the c6-pawn, which straightens his pawn structure, and also brings his pawn closer to the center. So far both sides have been playing optimally. The material is equal. Both sides have two minor pieces developed. Both kings have castled to safety. White has the slight initiative, but Black has slightly more central control. The position is roughly even. White completes the primary objective. This move develops the last minor piece while simultaneously attacking the f6-knight, which is the defender of the d5-pawn. Take notice that none of the major pieces have moved thus far (aside from castling). Both sides focused purely on completing the primary objective. As a result, this achieves an approximately equal (and good) position for both sides. Black consolidates the d5-pawn, which frees his knight and queen from having to defend it. Playing the light-squared bishop to e6 would defend the d5-pawn while simultaneously "developing" a bishop. But the bishops prefer to be developed to open diagonals unobstructed by their own pawns. Your secondary objective is to develop your major pieces (rooks and queen). 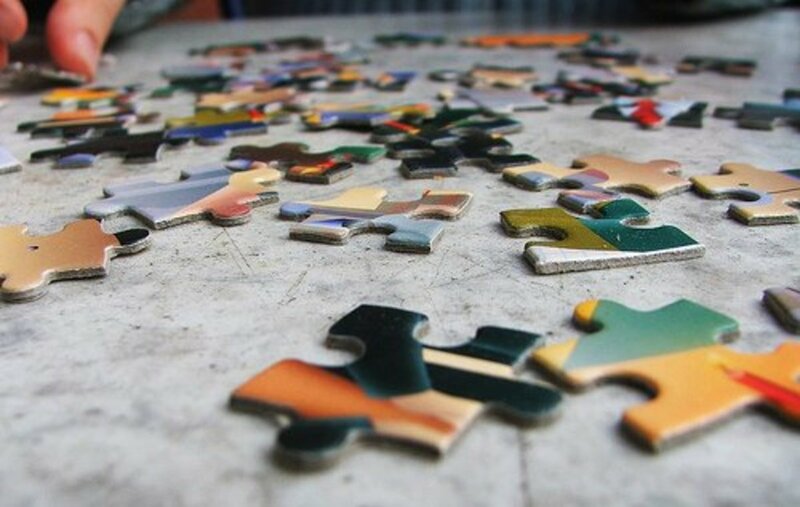 You don't have to complete the primary objective to develop your major pieces, but it's often better to do so. This move clears room for the a1-rook to come out. 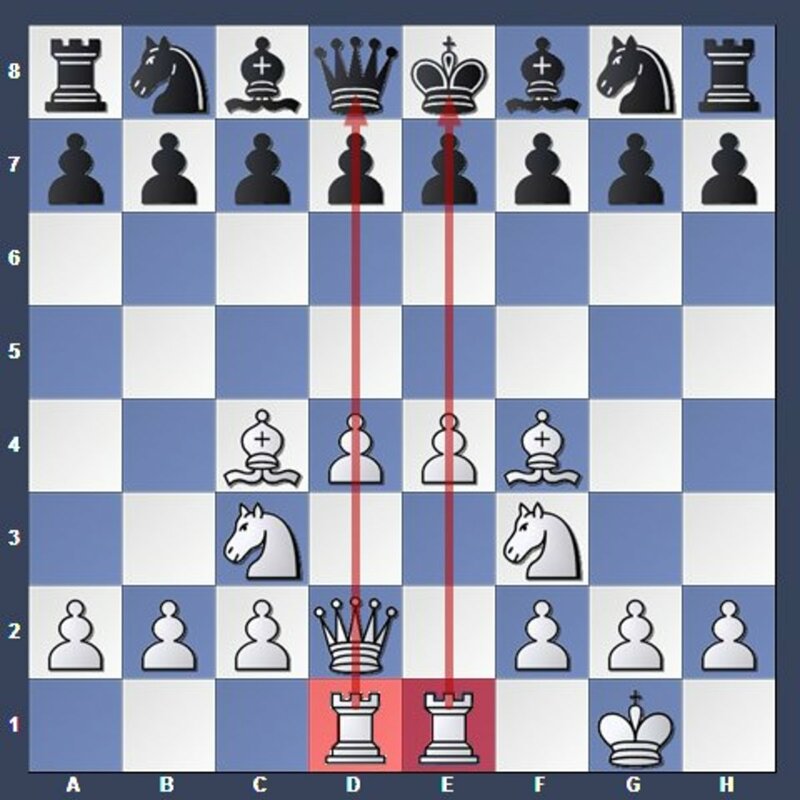 It also attacks the f6-knight, which could potentially cripple the black pawns after subsequent exchanges on f6. The bishop retreated to break the pin on the f6-knight; freeing the knight to move (without losing the queen). Rooks belong on open or semi open files, or behind pawns that have potential to be exchanged open. Rooks also belong behind pawns that have potential to advance forward to promotion, but that's only likely for middlegames & endgames. 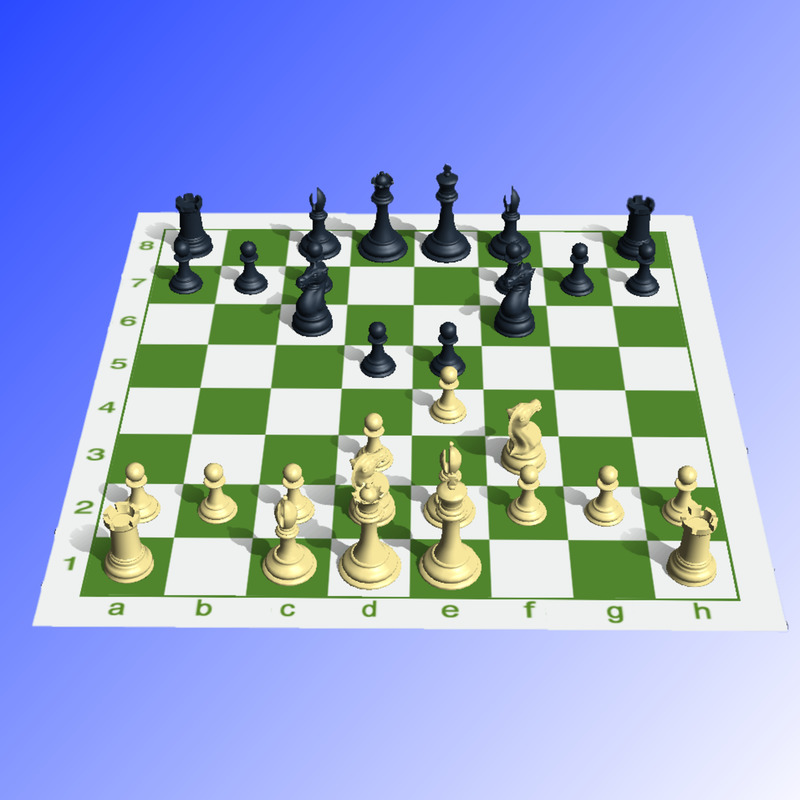 Both players safely developed their pieces and thus reached playable positions. 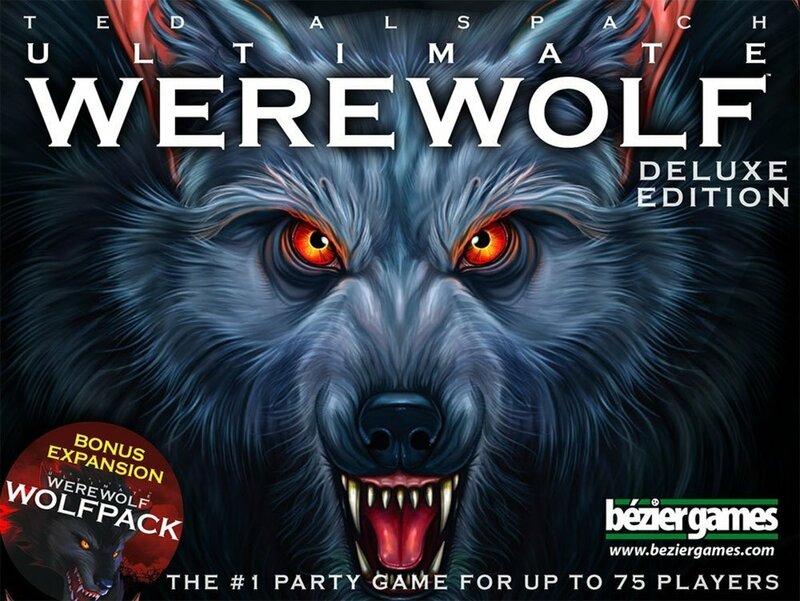 The players can now start devising their own plans individually. The blueprint has been a success. Who has the better position? If you face an opponent who's not playing properly (e.g., not playing for early control of the center, not developing each minor piece, etc.) but there's no immediate or obvious way to punish them for their gross errors (e.g., win their pieces and/or checkmate), then simply stick to the blueprint; patiently take full control of the center & develop your pieces accordingly. By doing so, you should obtain the superior position by default. Their strategies will often allow (and continue to allow) you to dominate the pace of the game until an opportunity or mistake is revealed. If you have the vastly superior development, then look for ways to break the position open at the right opportunity. Central control is a means to gain mobility. Ultimately, you must be able use this to create an attack or that advantage will dissipate. The basic principle of opening strategy is to improve the mobility of your pieces while simultaneously restricting the opponent's. This is best accomplished by aiming your pieces towards the center. When both sides develop optimally, it should lead to approximately equal (and good) positions for both sides. The blueprint is only used when there isn't an obvious tactic to win material in the current position. If your opponent leaves their pieces hanging or king exposed, then simply play to win those pieces and/or checkmate him instead. A material advantage is decisive enough to win in the long run. The most important point to remember is that the blueprint is only meant to be used as a guideline. You must look into the specifics for each individual position to judge what's best yourself. Use your own intelligence. Use your own creativity. Make your own decisions. Congratulations, you now understand the fundamentals of Opening Strategy. allright, this may be a litlte out there , but why not get a litlte creative and do the board game Operation or Guess Who? with operation , you could tweak it by the quarterback having to carefully complete passes through difficult obstacles set up on the different parts of the patient's (opposing football team player's body)? or maybe instead of the obstacles, have different football player's from your team in each of the operation areas and they can be taking out certain items and placing your school's items/mascots/etc. do you sort of see what im driving at here? with guess who, it would be a cool life size game board of all the football players pictures and you can have the ones being guessed as the most valuable players, or football players that represent your class? also, what about twister ? that could be easily adapted into using football players and maybe using your school colors for the dots?good luck! Thanks for this clear hub. Hope I can improve my game and beat the grandkids. Wow! What an excellent explanation of opening principles. So many beginning players learn an opening without the slightest idea of the principles behind each move. Then when their opponent goes off book, they are lost. Fantastic hub. Really enjoyed this piece. 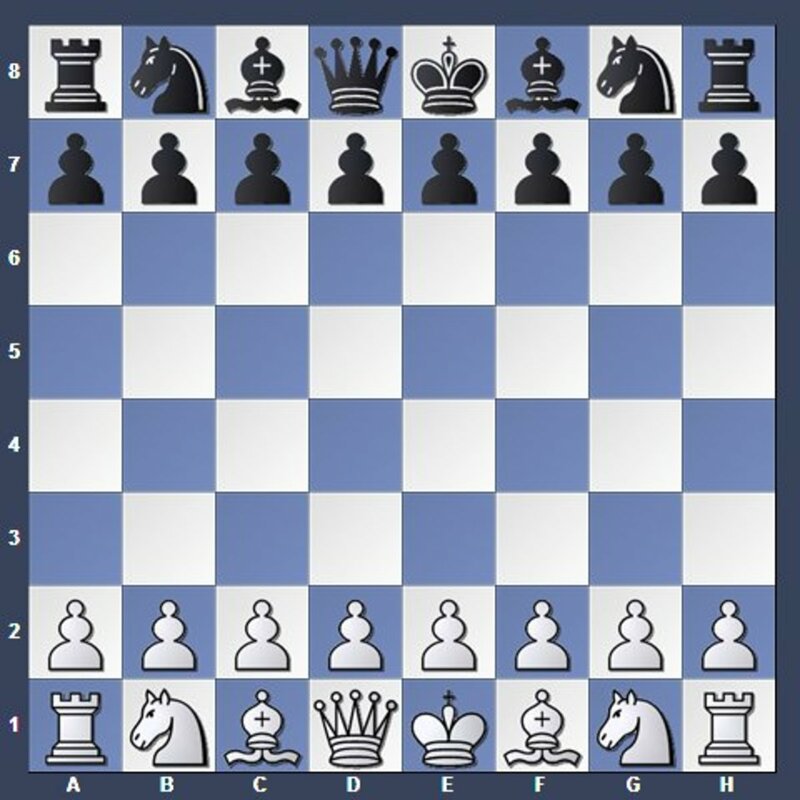 Solid chess strategy and explained in a way that non-experts (like me :-) can understand. The e4, d4 opennings are really strong and aggressive. It can dictate the tempo of the game even at the start of the match. This is a nice guide. Congratulatioins on your nomination. This is a very thorough guide. I have never played chess but now I know where to go to learn! I loved the pictures to aid in the explanations as well. Congrats on your nomination and welcome to Hubpages! I just started learning this fascinating game. This will help me a great deal to understand it a lot more! Voted up and VERY useful! ALso voting this hub for Hubnugget! Congratulations! absolutely awesome I will return again so I can bet my friends at chess. Wow, this is such a cool guide! I'm afraid chess is something I don't know how to play at all, but reading about this strategy has really made me want to learn. learnt a few new moves there, nice one!! Very good hub about Chess, which I voted up!